To see photos, where to stay, maps, and tourist information, read Culebra day trip planning app . 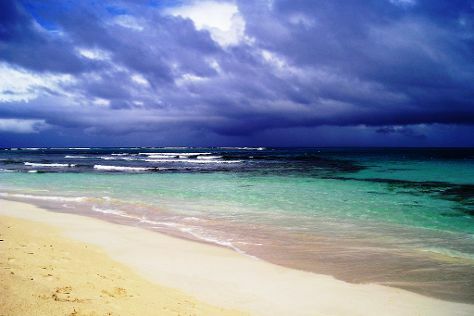 Philadelphia, USA to Culebra is an approximately 9.5-hour combination of train and flight. You can also fly; or do a combination of flight, shuttle, and ferry. Traveling from Philadelphia to Culebra, you'll lose 1 hour due to the time zone difference. Traveling from Philadelphia in May, you will find days in Culebra are somewhat warmer (87°F), and nights are much warmer (77°F). On the 26th (Sun), you'll travel to San Juan. Get out of town with these interesting San Juan side-trips: El Yunque Rain Forest (in El Yunque National Forest) and Culebra (Culebra Public Library & Flamenco Beach). And it doesn't end there: skim along the rocks with a canyoning and rapelling tour, savor the flavors at Food & Drink, and get engrossed in the history at Catedral Metropolitana Basilica de San Juan Bautista. To find maps, traveler tips, reviews, and more tourist information, read our San Juan trip planner . San Juan is very close to Culebra. In May, plan for daily highs up to 88°F, and evening lows to 76°F. On the 29th (Wed), wrap the sightseeing up by early afternoon so you can travel back home.